Get Well From The Road Rash Soon! 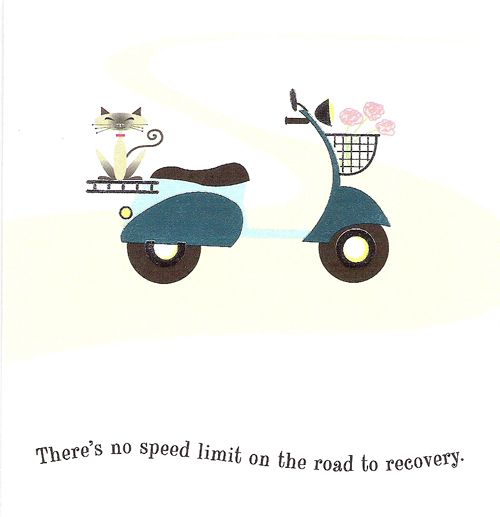 The perfect get well card for those who’ve recently taken a spill on their scooter. The inside of the card reads “Travel It As Fast As You Can.” Part of the Expressions Line from Hallmark. Thanks to Babette S. for this find! There’s no speed limit, but the recoverymobile tops out at 35mph….